Once again this summer, the Backstreet Boys performed at a music festival, won the crowds over, and shut the show down (because who could follow them?). What was different about this time? Not only did Kevin, Howie, AJ, Brian and Nick give a winning performance onstage, but also displayed winning qualities at a pre-show volleyball game. 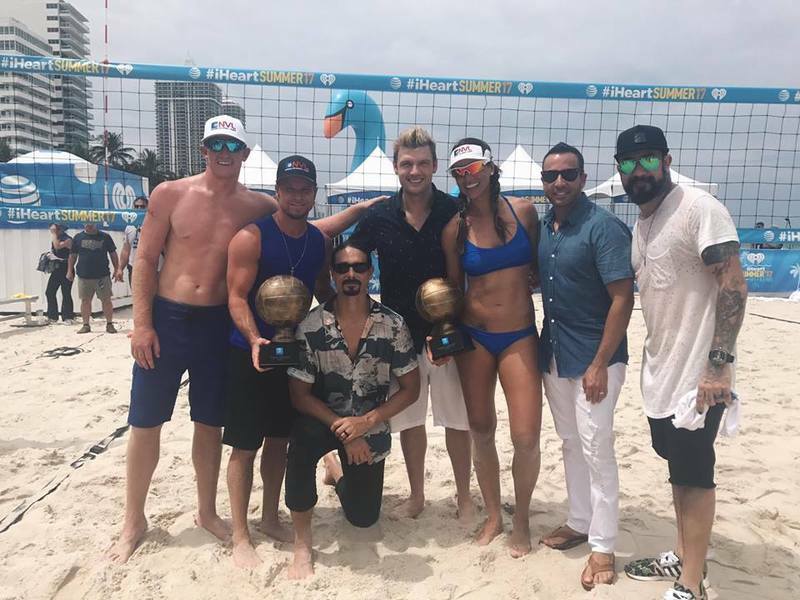 While Brian Littrell got down in the sand (literally) with professional volleyballers Skylar Del Sol and Raquel Ferreira, the rest of the Boys rallied the crowd from the sidelines, leading chants, calling time outs, and keeping up the energy even when Team Backstreet was behind. Catch all the highlights from BSB’s time at iHeartSummer ’17 below! Couldn’t make it to Miami? Catch the show on Audience network on June 23rd and 24th at 8PM EST / PST. The Backstreet Boys will be back in Miami in May 2018 for their 6th cruise! It’s already sold out, but you can get all the details about getting on the waitlist right here.